When you’re working with CSS and need an answer now, this concise yet comprehensive quick reference provides all of the essential information you need. Ideal for intermediate to advanced web designers and developers, the 5th edition has been revised and updated to reflect new properties including grid, flexbox, masking, and compositing. 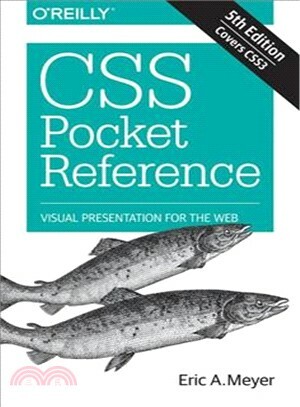 This guide offers a short introduction to the key concepts of CSS, followed by alphabetical references to all CSS3 selectors and properties. An internationally recognized expert on the subjects of HTML, CSS, and Web standards, Eric has been working on the web since late 1993. He is the founder of Complex Spiral Consulting, a co-founder of the microformats movement, and co-founder (with Jeffrey Zeldman) of An Event Apart, the design conference series for people who make web sites. Beginning in early 1994, Eric was the campus Web coordinator for Case Western Reserve University, where he authored a widely acclaimed series of three HTML tutorials and was project lead for the online version of the Encyclopedia of Cleveland History combined with the Dictionary of Cleveland Biography, the first example of an encyclopedia of urban history being fully and freely published on the Web.